Taking place once every decade in a small Bavarian village, a play of epic proportions dramatically presents the events in Jesus’ last days on earth. Journeys Unlimited can help get you there. Passion plays represent the passion of Jesus Christ—his trial, suffering, death and resurrection. They have been performed around the world for hundreds of years, with the oldest known passion play dating back to the 14th century. Today, these plays are known for their large audiences, huge stages, live animals, incredible props and dazzling special effects. Every 10 years in the quaint German town of Oberammergau, residents gather together to put on what is now the longest-running passion play. First taking the stage in 1634, the Oberammergau Passion Play continues the tradition thanks to a vow made nearly 400 years ago by the residents of Oberammergau, a promise that if God would spare them any more deaths from the plague that they would perform a play every 10 years. The next year, their prayers were answered and the play went on as promised. It was later scheduled as a decennial event, and the next performance is set to take place in 2020. While there are over 2,000 performers, musicians and technicians who take part in the Oberammergau Passion Play, a role is not easy to come by. Only natives of the village or those who have resided in Oberammergau for at least 20 years may become a part of the amateur cast. When all is said and done, over half of the village’s population will end up participating in the epic performance, including around 500 children. 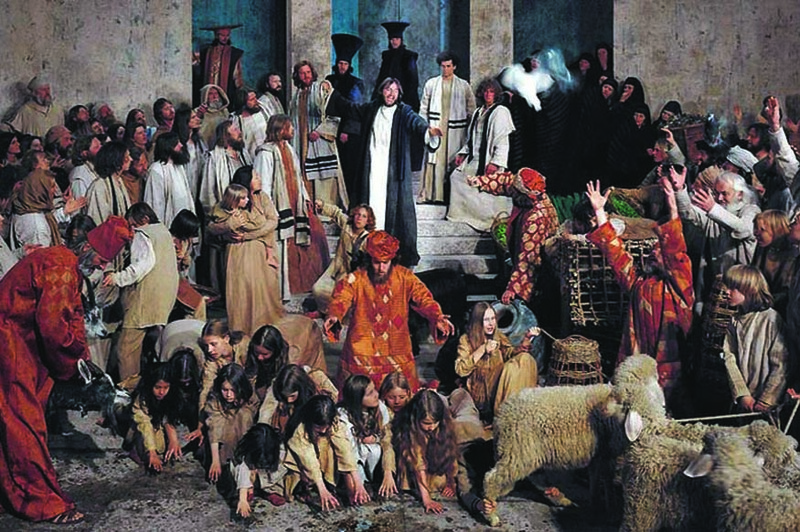 The Oberammergau Passion Play, as you can imagine, is no small feat, and audience members are treated to more than just a day at the theater. Visitors enter the 4,500-seat Passion Play Theater – the largest of its kind in the world – and take their seats to gaze upon the dramatic performances on the open-air stage. The play runs for approximately eight hours, with a meal served during the three-hour intermission. Preparation for the play’s five-month run begins over a year in advance. Participants will stop cutting their hair and beards on Ash Wednesday 2019 in order to create more realistic characters. Later in the year, the lead actors will travel to Israel in the company of theologians to help them envision and create roles of the utmost authenticity. 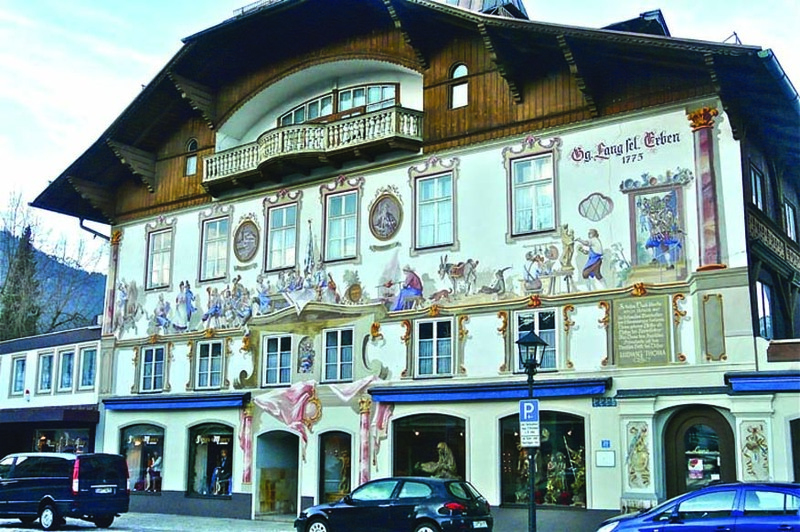 If you’d like to explore the sights and sounds of Oberammergau at your own pace, a two-day package is at your service: hotel, shuttle, meals and entrance to the play are all included. Visit the Austrian gems of Vienna and Salzburg before heading on to Oberammergau. This tour packs in an incredible amount of history as tour groups explore Frankfurt, Leipzig, Dessau, Augsburg, Oberammergau, Heidelberg and the Rhineland. Begin your journey in one of Europe’s most romantic cities: Rome. From there, head to Florence, Assisi and Venice before your play in Oberammergau, and then head back to Italy to check out Milan before the tour ends. Before witnessing Passion Play 2020, start your journey with a trip to the Holy Land by visiting Tel Aviv, Tiberias, Jerusalem and Bethlehem before traveling on to Munich and ending with the grand finale in Oberammergau. Budapest, Vienna, Prague are some of central Europe’s most celebrated gems and just a stone’s throw from Bavaria. Begin your tour by taking in the history and rich cultural heritage of these destinations before continuing on to Munich and Oberammergau. This tour is packed with picture-perfect destinations that will take you from Amsterdam to Heidelberg before witnessing the Oberammergau Passion Play, and then on to Lucerne and Brussels. It’s not too soon to start planning your visit to the performance of the decade: Oberammergau Passion Play 2020. Learn more about the packages and services by contacting Journeys Unlimited today.